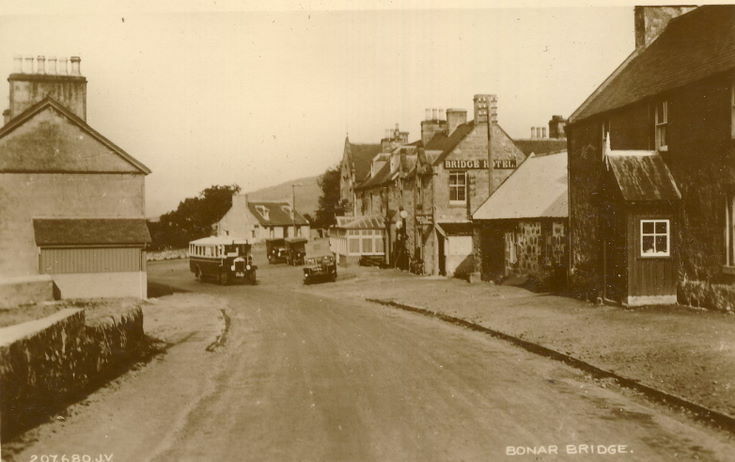 Monochrome postcard with annotation 'Bonar Bridge' showing a motor coach on the road in front of the Bridge Hotel at Bonar Bridge. The Bridge Hotel has its modified frontage completed c 1927. From an album containing a selection of postcards and photographs taken by Mrs J.I.C. Mackayo f Dornoch and surrounding area.